THE KEY HOLE HOUSE. 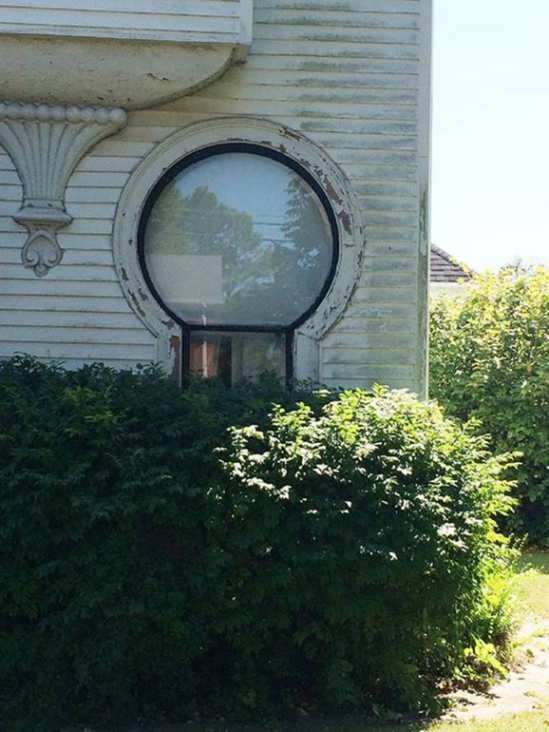 This home is named Key Hole House because the front window is shaped like an old key hole. 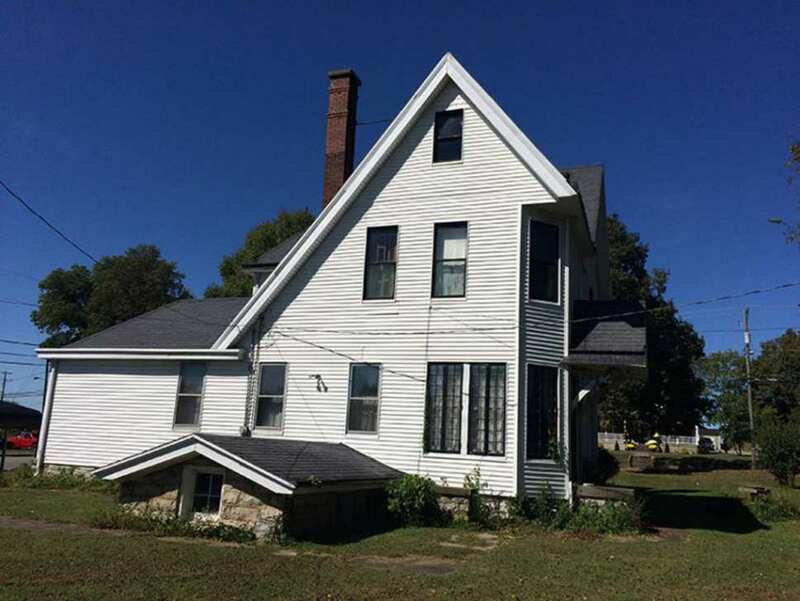 Home has a entry foyer with a beautiful open staircase to the second floor, a living room, dining room with built in hutch and fireplace, sunroom, parlor, kitchen, full bath, utility room, rear hall and a front porch. Second floor has 4 bedrooms, linen closet, full bath, storage, 2 stairs plus access to the third floor with 2 rooms. Home also a basement with 2 rooms and coal bin. 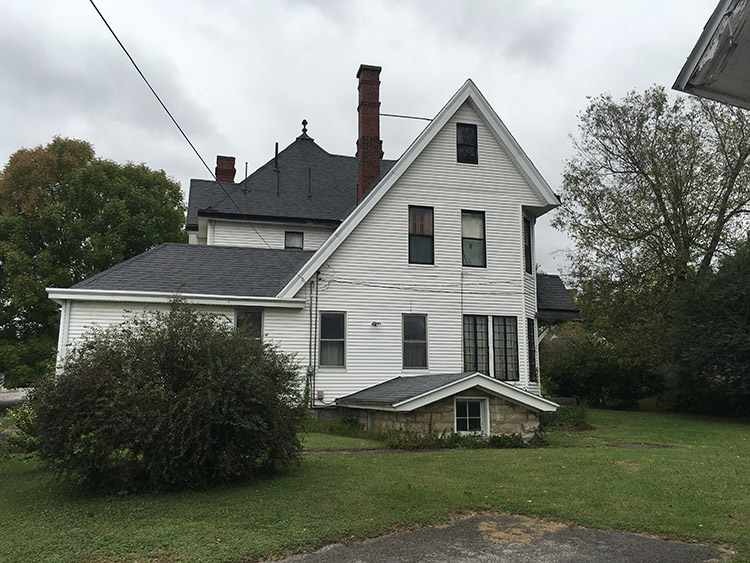 Home has some unbelievable woodwork, pocket doors, solid wood doors with transoms, inlaid and parquet floors on the first floor with hardwood thru-out the rest of the home, except baths and sunroom have tile floors. Extras are 2 car garage, 2 car carport, large corner lot Zoned B-2. Call to view this home. 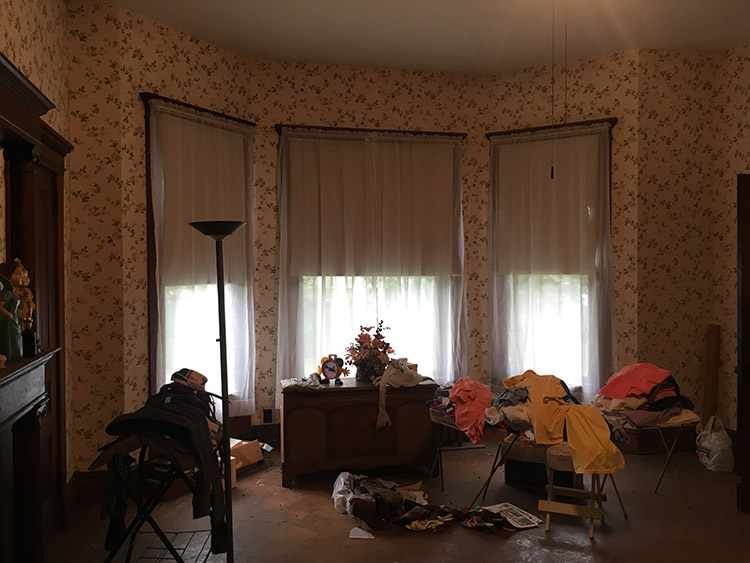 Oh sure….tease us with outside pics of that AH.MA.ZING key hole window But none from the inside???? AHHHHH!! I’m dying over here!!!! I. NEED. MORE. PICS!!!! I third that! 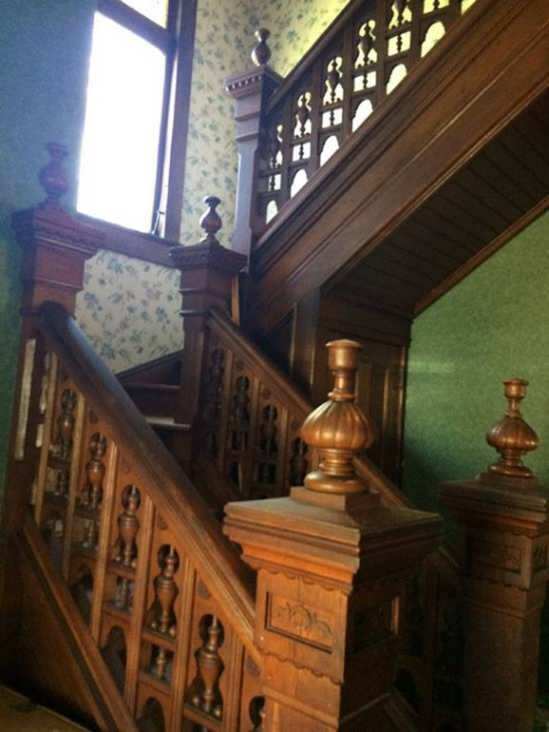 That staircase…gorgeous. LOL! I know, right? If you check out the street view, you’ll see they’ve trimmed the hedge under the keyhole window. I’d cut them down to show the key hole window!! There are more pics on realitor. Lots more! Same pics have been added to the page. What a beautiful and unusual house! Love the keyhole window and all the architectural details inside and out. Hope someone can save her, maybe move her. Really unique! Be still my heart… What’s not to like? This is one of my all time favorites on OHD. I’m going to go to sleep dreaming about this one tonight. I consulted McAlester, 2nd ed., and determined this style is called “Queen Ann Hyperbole.” I don’t like Queen Ann style, but I love hyperbole. Fantastic house. What a sweet confection of a house! Looks like you could eat it with a spoon! LOVE that staircase; the more unusual the better for me. Is that a root cellar? What a great house! I always like Barber houses, and this one reinforces that sentiment. Such attention and inventiveness in detail, and in the massing and decoration, in and out. I agree. In my thoughts, this man was a genius! I’m always amazed that the realtors don’t advertise the Barber connection. This is a sweet piece of Barber heaven! Next to George F. Barber, they are my favorite Victorian era architects. Thanks very much for sharing your knowledge and resources John. I always appreciate your comments here- can’t wait to dig into the links you provided! John Shiflet, that link of Eureka — O-M-G, seriously! I went unconscious several times…. Absolutely spectacular! I was in Eureka decades ago, and if I had seen that area of town, I don’t think I could have left. Nice to see not just their beauty, but that they are mostly being kept up. That area of Eureka is designated as Old Town Eureka and encompasses several blocks. 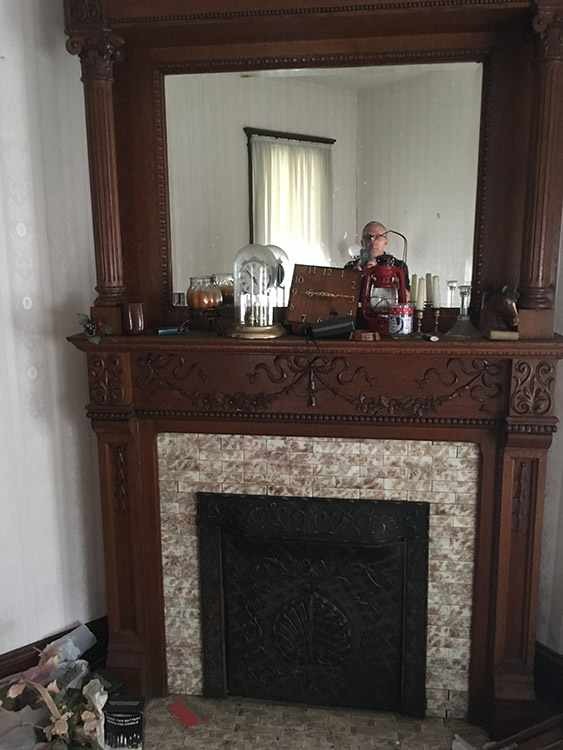 (very tourist friendly) At the corner of 2nd and M Street are found the two Carson mansions: (streetview) https://goo.gl/maps/5EqWEyohi8E2 I thought I could see Eureka, nearby Arcata, and the charming intact Victorian village of Ferndale, all in one day. However, even Eureka took up most of an entire day and there were still historic areas that I had not seen. I’m fairly certain there are over 3,000 surviving Victorian era homes in Eureka making it perhaps second behind San Francisco in the largest number of surviving Victorians in a California community. Here’s a link to the photos I took in nearby Ferndale: (there’s a few Arcata photos in the already shared Eureka album) https://www.flickr.com/photos/11236515@N05/albums/72157621785437700 For those who truly love Victorian architecture, this region of northern California is almost paradise. I’ve driven by this home many times only to admire it’s beauty. For some reason you can’t get a true sense of scale from the photos. The house is huge. The Key Hole window is the largest Key Hole window I’ve ever seen. The rectangular section of the Key Hole window is at least 3ft. wide and maybe more. I’ve often wondered if the round section of the Key Hole window used to have stained glass. This is the only key hole window I’ve ever seen without stained glass. 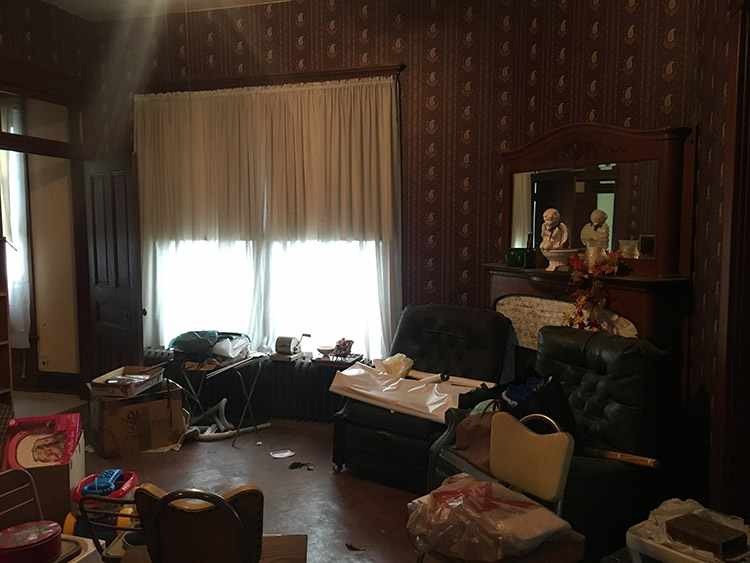 At $90,000 this house is a steal. I believe that Lebanon is the American manufacturing home for some major Japanese corporations like Toyota. Toyota isn’t in Lebanon Ky but there are several manufacturer’s who supply parts to Toyota. If I could pick it up and move it to about 5 acres it would be perfect. I love this one. Beautiful home here. I photographed an example of this same Barber design this past April in the historic Indiana town of Delphi but regrettably have not had a chance to upload it to my Flickr album collection. 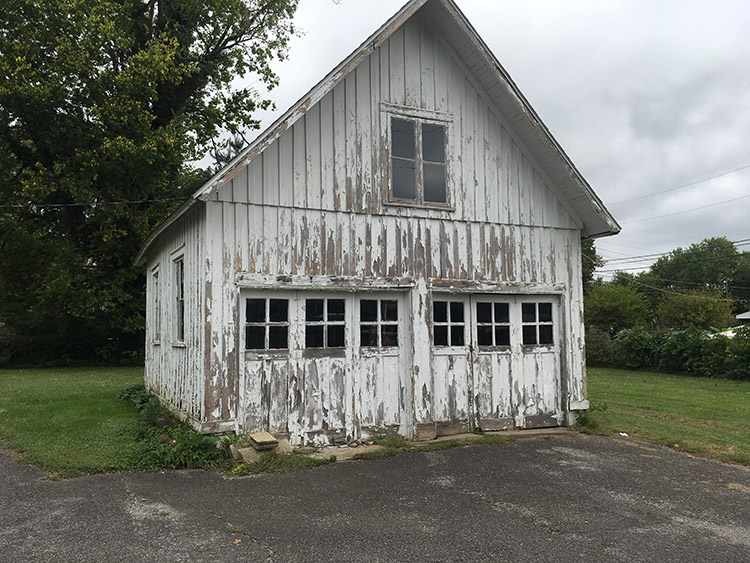 (maybe this house will motivate me to do so) In the minds of many folks, Kentucky is associated with log cabins and old Greek Revivals, but architecturally, the state’s communities were just as sophisticated as in industrialized states to the north and east. Barber’s bread and butter business was selling high style house plans to builders/homeowners in smaller communities often lacking a local architect. As for the signature keyhole window, almost for certain it once had some form of art glass, either leaded/beveled or stained. I have archived several images of these windows with art glass over the years. 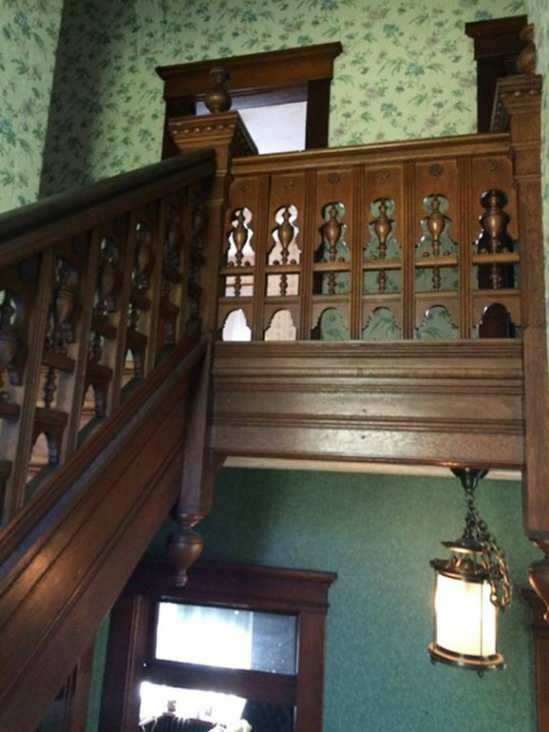 The staircase is a fine example of Victorian millwork. 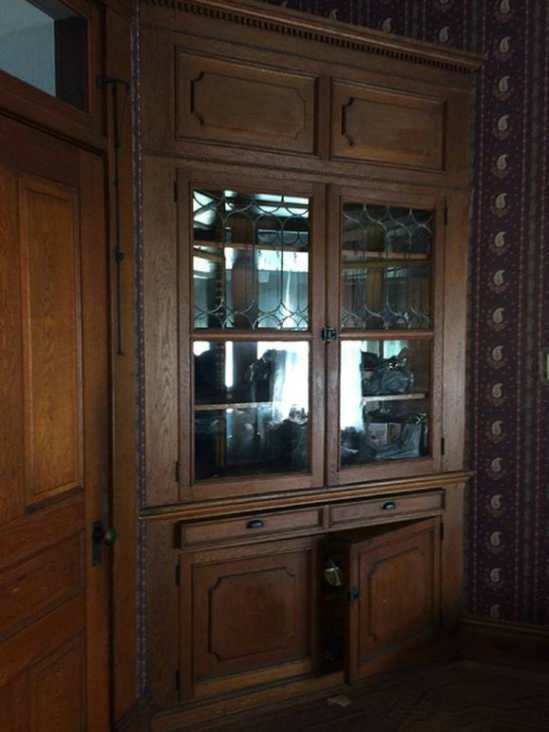 I suspect at one time there may have been interior fretwork (often displayed in some of Barber’s published plan books) pieces in the downstairs formal rooms as well as at least one quality (likely Oak) mantelpiece but one isn’t shown here. Still, it would not take too much effort to return this fine home to its Victorian era look. The price is also very budget friendly for most old house buyers. Thanks for sharing. I grew up right around the corner from the twin to this one in Delphi IN. It’s GORGEOUS. It’s weird for me to see this one without a tower like the one I’m used to has. is this the same design? No words except… from what little I can see- I’m in LOVE LOVE LOVE! 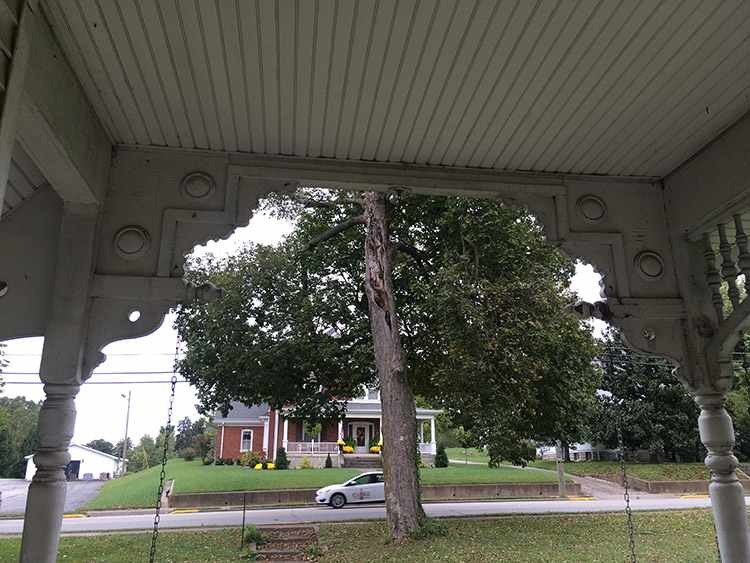 Yes, Lori and Paul, both homes you linked to in your comment are examples of the same Barber design as this home. As you can see from these three different examples, Barber often customized each version to meet the specific needs of each client and location. 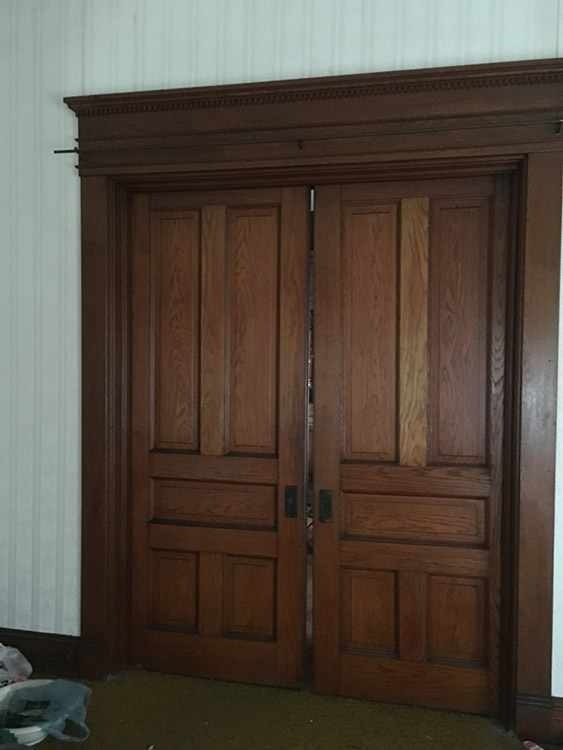 This Lebanon example was built without the tower above the stair landing, while the Delhi, NY example was built without the keyhole window. 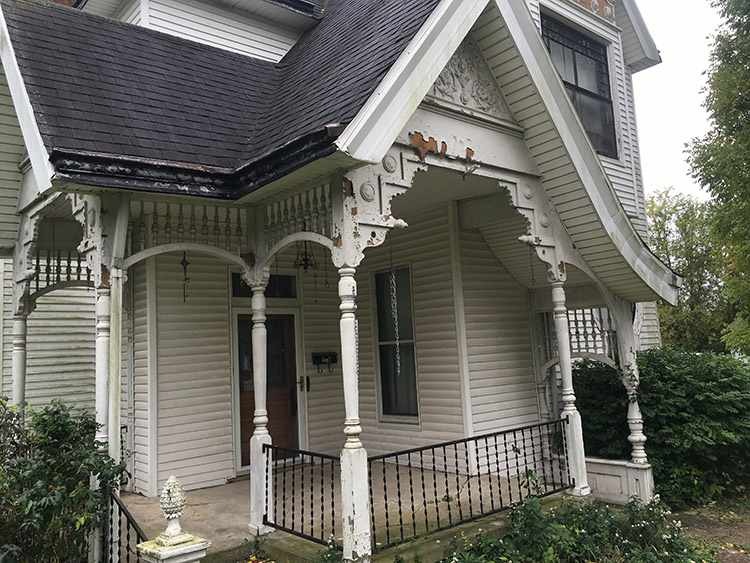 This is one of Barber’s more interesting designs in that it packs a lot of detail and character into what was a rather compact and cozy cottage. It looks like it wouldn’t take much to make this gem shine like the sun. Seems to be in fairly good shape and fortunately very unmolested. The right paint job on the exterior would truly make it gorgeous. For that price it would seem a bargain. A nice example showing just why Barber’s prolific company is the best know plan book architectural firm of turn-of-the-century America. There’s so many extant details here for the asking price. The staircase alone is likely worth the price of admission. 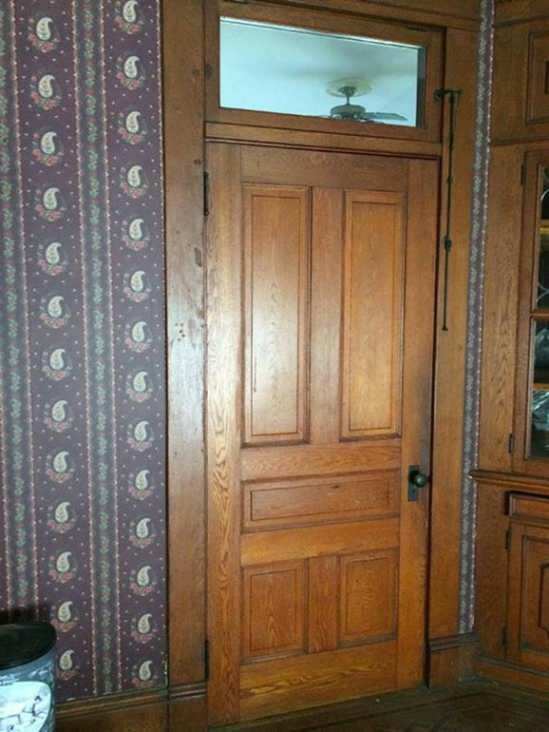 With a period appropriate paint scheme, this house could be the talk of the town. That is a beautiful window, John. Thanks for digging up the listing to show us! 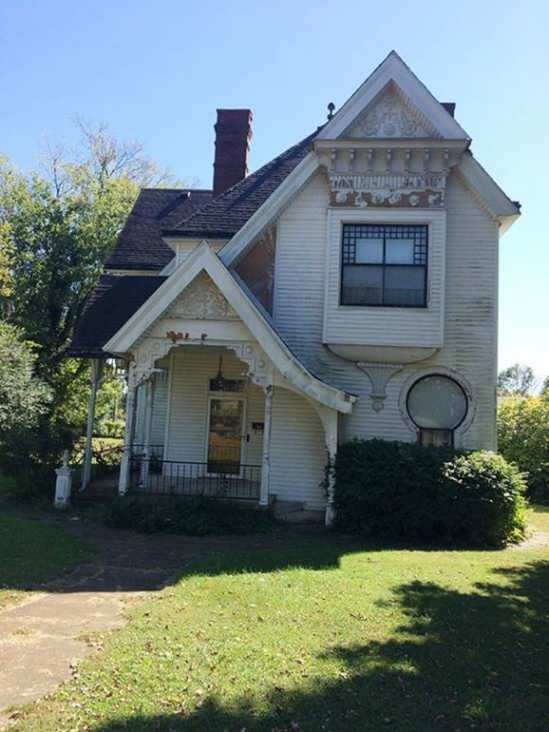 What a gem!I want to get out the paintbrush and work on that exterior!! Just a wow house! I’ve been a Barber fan ever since I saw an advertisement of his on some reproduction vintage newsprint wallpaper in my bathroom of all places. His work never fails to bring excitement and this example is no exception. I hope the new owners elect to paint the exterior a more appropriate color scheme to show off the great details this house has. I would love to have seen the original glass or stain glass that was in the keyhole window as John eluded to. I need to move to Kentucky!! It would be lovely to fill that keyhole window with a stained glass piece. What I see I absolutly adore and John the link you showed, I loved the look of the stained glass keyhole window!!! Wish I could see more of this one! Oh my. I am so in love with this charming and beautiful house. Boom ; love at first sight. but then I bought houses because we liked the trees. The kitchen could be a separate shed next to the spring house, for all I care. – Hope there is no AC. That porthole window is too cute to not want. Beautiful stairs! 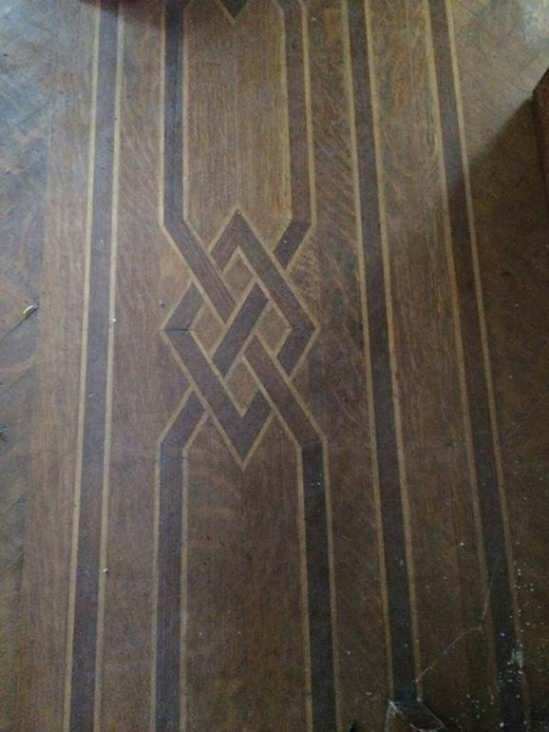 A real treasure of a house with beautiful wood everywhere. I think I’m falling in love. Thank you John for the link to the keyhole window! The stained glass version is so gorgeous! Thanks for all of the kind words from fellow OHD readers and colleagues. When old houses are a passion, sharing information with others is always a pleasure. Thanks to Mitch (the agent) for the added photos and to Kelly for posting them. 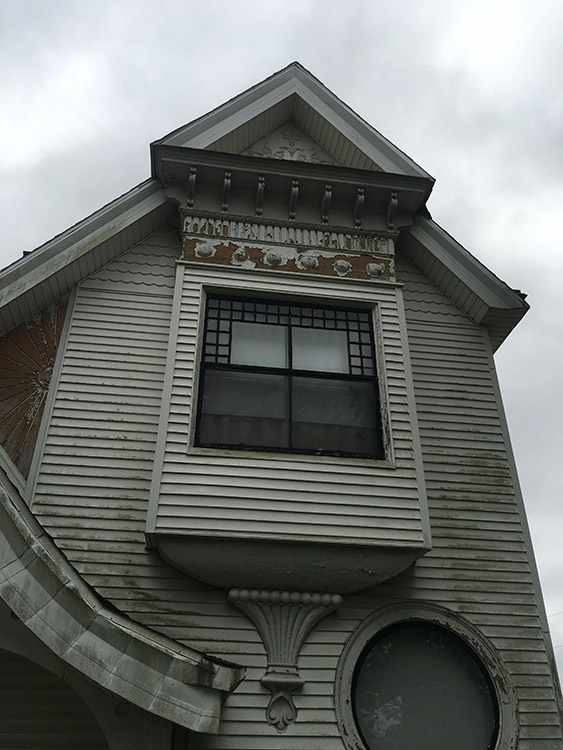 The ornate details of this house really stand out in the new photos and I can envision how a period color scheme highlighting the ornamental details would really make this house “pop”. There appear to be two nice Oak mantels with lovely tiles. (most likely from A.E.T. or the American Encaustic Tiling Co. with a factory in Zanesville, OH) Here’s a product catalog from A.E.T. dating from c. 1890: https://archive.org/stream/artistictiles00amer#page/n3/mode/2up and a bit of company history: https://sites.google.com/site/tileinstallationdatabasemz/oh_zanesville–american-encaustic-tiling-company-showroom It was nice to see the stained glass pane in the door; along with the other existing stained glass window it almost guarantees that the keyhole window had some type of art glass originally. 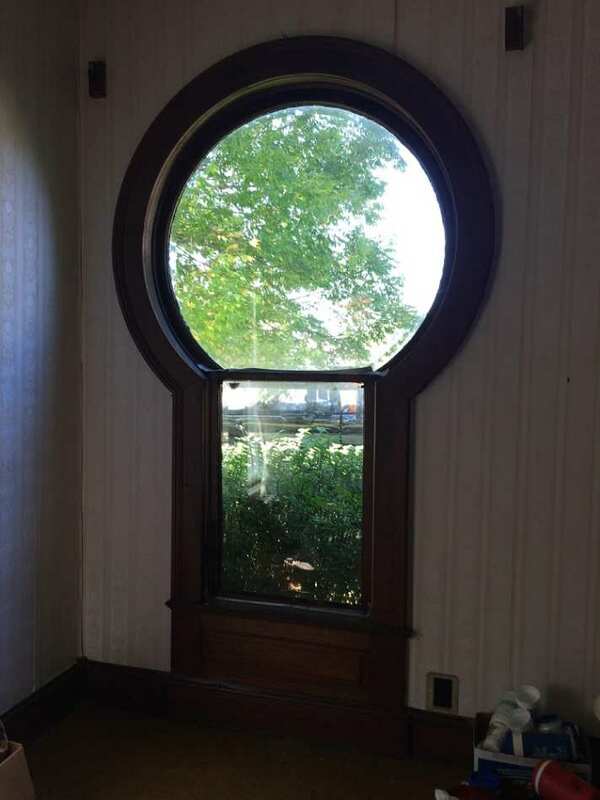 If one were very lucky, perhaps there’s some archival source (local library, genealogical/historical society, or former owners/family members) that might show the original keyhole window design. Otherwise, one could copy a known Barber window design appropriately sized for the window. I could recommend a studio in Cincinnati that does quality reproduction work. Moreover, period exterior paint colors were often color coordinated with colors found in the stained glass windows. For period color schemes, here’s an 1898 paint palette catalog from John Lucas and Co. (Internet Archive) https://archive.org/stream/PracticalSuggestionsOnExteriorDecoration/PracticalSuggestionsOnInteriorDecorationCca19894#page/n0/mode/2up with suggestions for paint schemes for: the roof as wood shingle roofs were often painted with popular colors imitatating slate, dark red tiles, or verdigris green; (oxidized copper) the body and trim colors; and last, for the porch ceiling and deck. No one needs to strictly adhere to these paint company color combinations but they do provide some insight into the colors popular in the 1890’s. Also worth keeping in mind is that these colors have survived 119 years and therefore (especially since the viewing is Online) may not be absolutely true to their original hues and brilliance. Another great Victorian color resource is the book VICTORIAN EXTERIOR DECORATION by Roger Moss/Gail Caskey Winkler that has gone through several editions since coming out in the 1980’s. It contains period appropriate color combinations as well as the modern paint company names for these colors. Used copies are often available for just a few dollars. Major paint companies like Sherwin Williams, Benjamin Moore, and others have historic colors palettes, as well. Last, if determining the original colors is considered important, carefully digging down through the layers of old paint can often help to find the original color combinations. Here too, the old pigments may have faded or changed slightly in over a century. 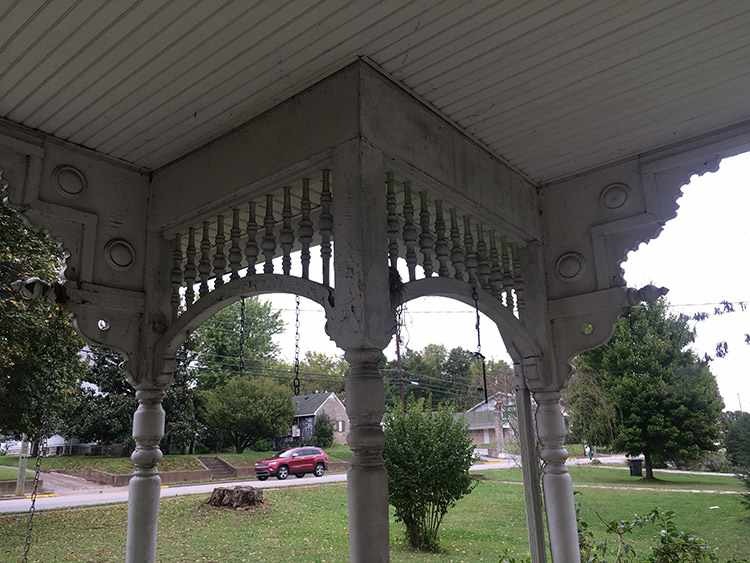 Best to obtain paint samples from protected areas like under porches. In summary, I think with a good period color scheme this house would have passers-by stopping on the street to take a look at it. Sorry, to clarify, Mitchell forwarded them to me after receiving the photos from the agent. He’s set to view the home soon and hopefully will be able to take more photos for us. Thanks for the clarification. I can only wish Mitchell the best and hope if this house meets his needs and expectations that he can make it his dream home. I toured the house this week. 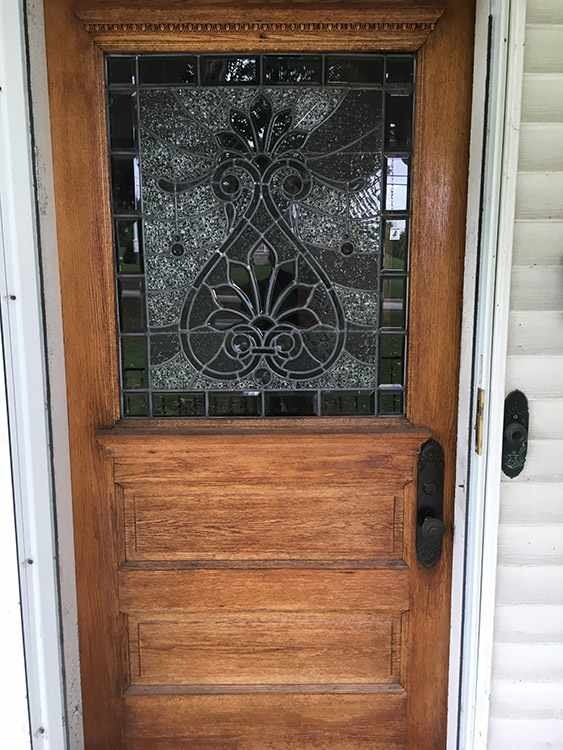 I believe the keyhole window glass to be original to the home – it is very thick with a beautiful beveled edge all around. 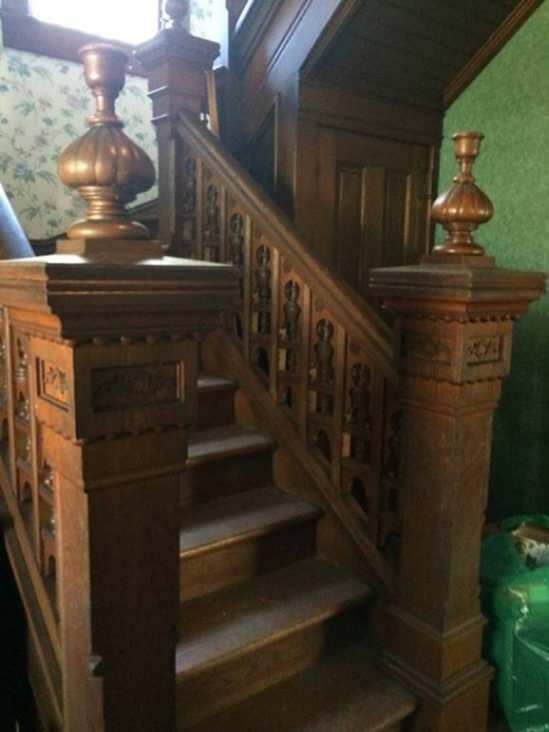 I’ve heard through the grapevine there is a salvage company interested in the home, which makes me wonder what the going price would be on that stairway, the windows, the builtins… Most of this magnificent structure is in original condition – just amazing. The structure seems sound. 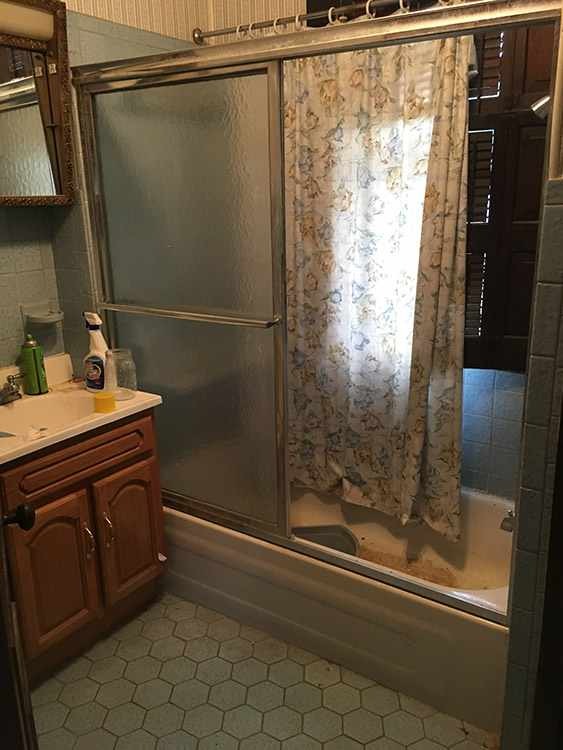 The kitchen and bathrooms are awful and would have to be completely redone – but the rest of the house just needs some touch up and plaster work in some places. Windows need ?reglazing?. Incredible floors need a light sanding – there is one problem spot in the parquet floors caused by some moisture at some point – probably a 2×2 portion has some issues that need addressed. The original light fixtures are all gone, aside from a few insignificant ones. 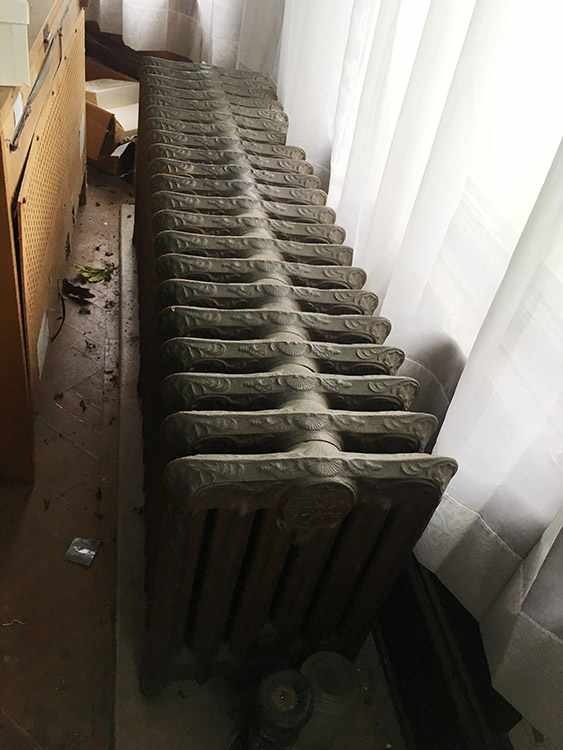 Steam heat – I’m not sure if that still works. Needs part of the wiring updated. 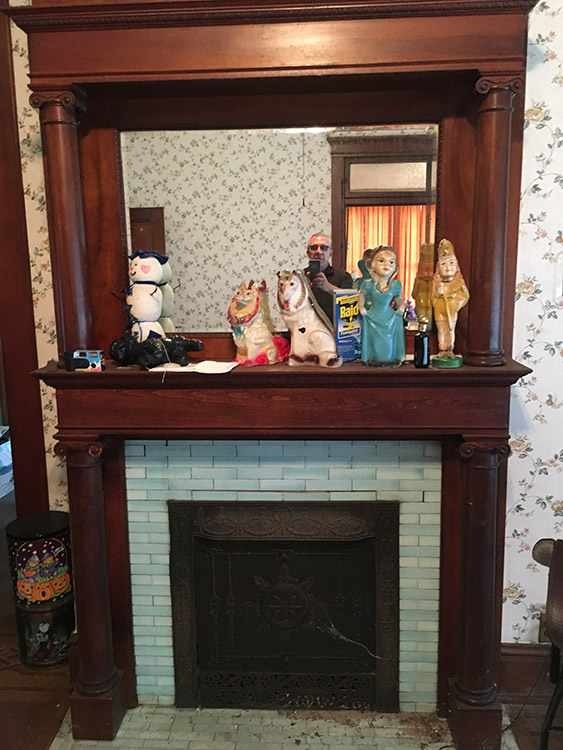 Mantels are all in excellent condition, as are all the built-ins and woodwork throughout. Third floor is spacious and all wood and I felt like I was in a cabin up there. The basement/cellar is gorgeous. 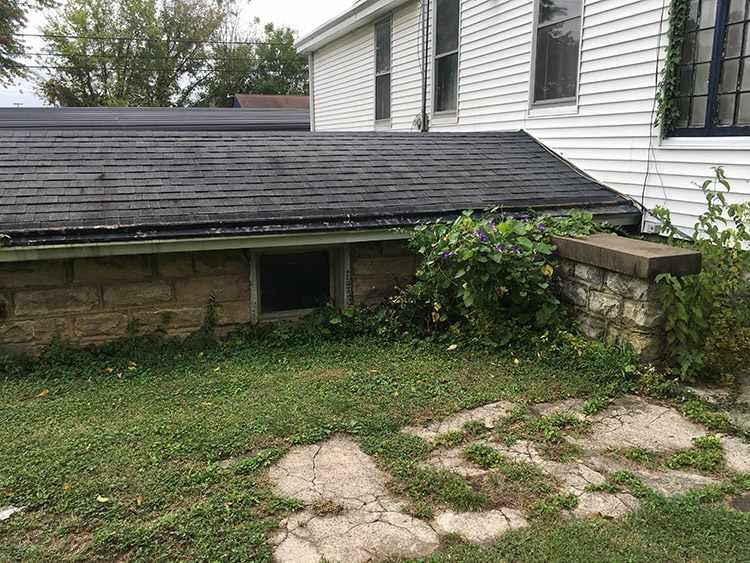 All of stone with lots of storage for canned goods, etc…root cellar area… Has no air conditioning. It would take a LOT of antiques to properly furnish this spacious beauty! It’s an amazing home! Thanks for sharing. 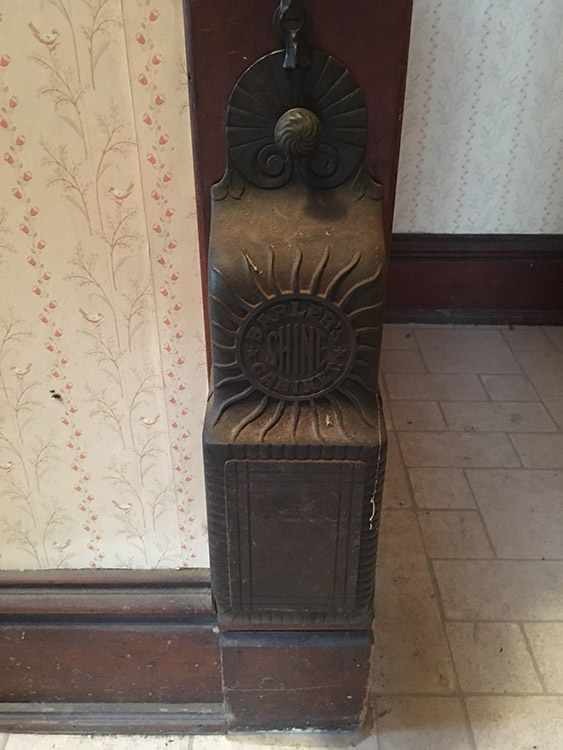 Architectural salvage is indeed valuable. I recall during the Great Recession a homeowner experiencing financial distress tried to sell the staircase out of his house on e-Bay. (it too was a Barber design) for over $60K. 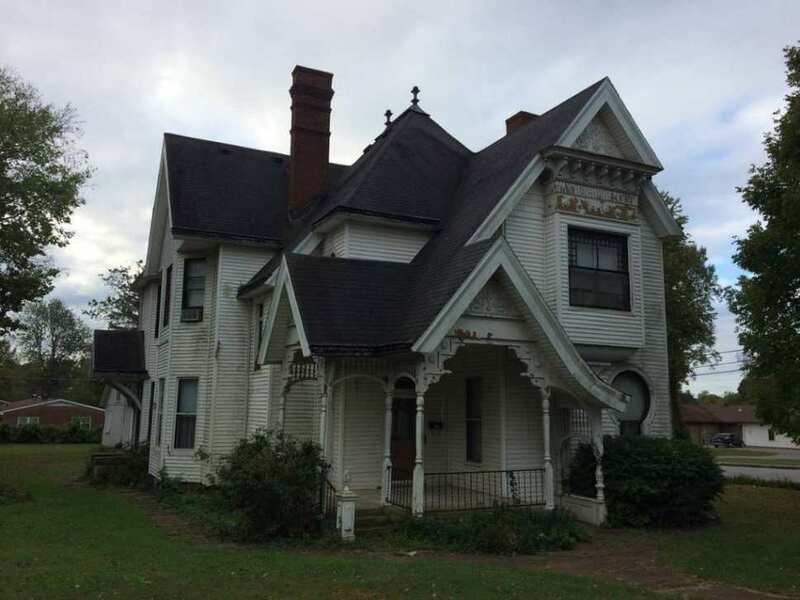 A local preservationist was able to talk him out of it and he withdrew the ad. 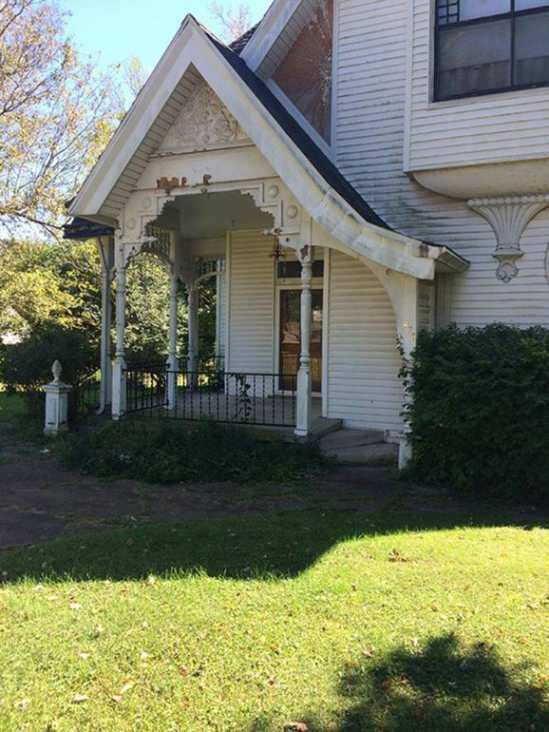 Conceivably this house could salvage out for the asking price or slightly more but I shudder to even think about it. No, this one deserves a caring new owner who will respect the house and its long history. Given the threat of a salvage company buying it, I hope that noble buyer comes to its rescue soon. Mitchell, if you buy it, I want to see it. I’m only 30 minutes away in Danville. A quick correction on the original owner is that the prominent banker was James Albert Kelly. George E. Kelly was his 7-year-old son, at the time this house was built. 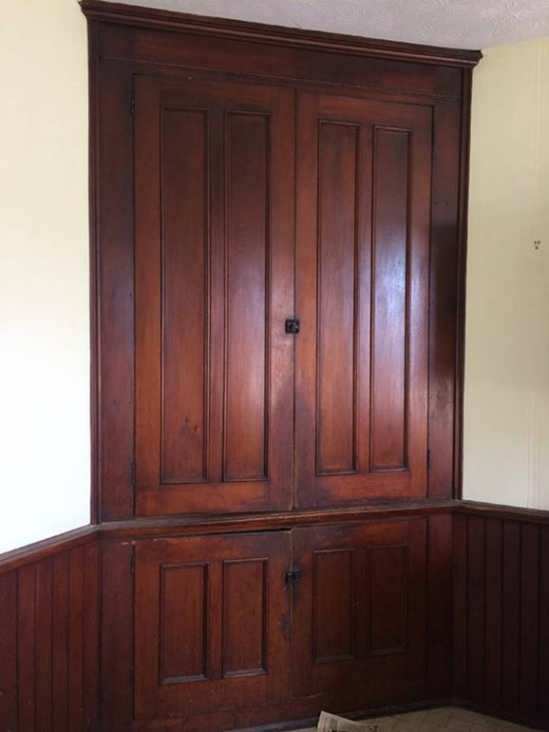 Regarding the glass in the keyhole window, I agree with John that it probably had art glass in it originally, but was likely replaced at a later time. Feature elements of the design on the front face of his buildings received the utmost importance from Barber, however, of the 18 examples of this design that I have documented, only one has art glass that I can confirm, and it is only in the circular portion of this important window. But so many of these have been altered over the years so it is hard to tell what was there originally. Thanks Mitch for sharing an inside view of the window. I hope somehow the older house photos from the Historical Society could be shared. One possibility supporting the clear glass originality assumption for the keyhole window is the bevel seen around the margins of the round glass. Bevels can now be ordered from some glass suppliers but there was a long period when beveled glass was seldom seen. You have to go back to the first decades of the 20th century to find it in common use. It was certainly popular in 1898. Perhaps (and this is pure speculation) the verdant gardens you alluded to in your recent post inspired the Kelly family members to keep the glass clear so they could enjoy the floral display outside. 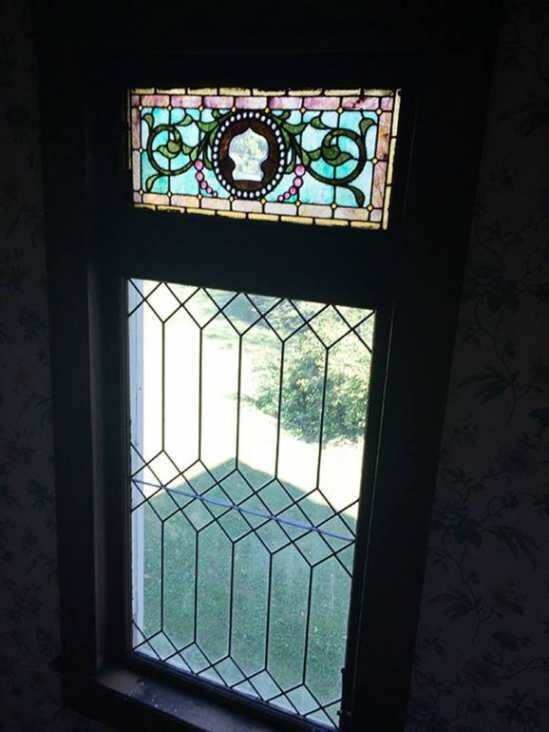 In the small town of Williamsport, Indiana, I did find and photograph a Barber designed house with a keyhole window featuring clear glass: https://www.flickr.com/photos/11236515@N05/15477934481/sizes/h/ There too, whether it was original to the house or not, is unknown. I also did a screen capture of an ad in an archived (1890’s?) Carpentry & Building Magazine showing a side view of Barber’s house Design No. 36 from his popular planbook Cottage Souvenir No. 2. 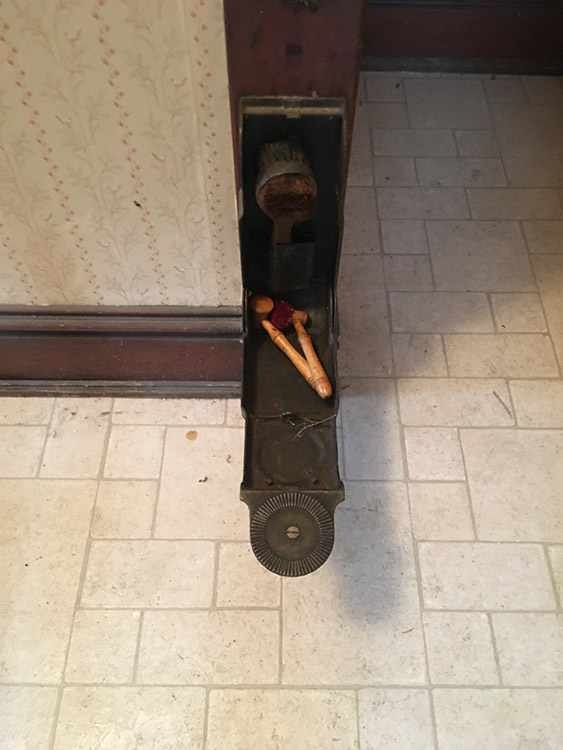 (placing it above the stairwell) it definitely has some kind of art glass in the keyhole window but not enough detail is visible to reveal the exact design. Therefore, I conclude that some keyhole shaped windows had art glass (leaded, beveled, or stained, perhaps also wheel cut) and some probably didn’t. The wishes of the homeowner or builder determined the finished product. Thank you very much. Kelly thought the historical photos were too poor quality to post. 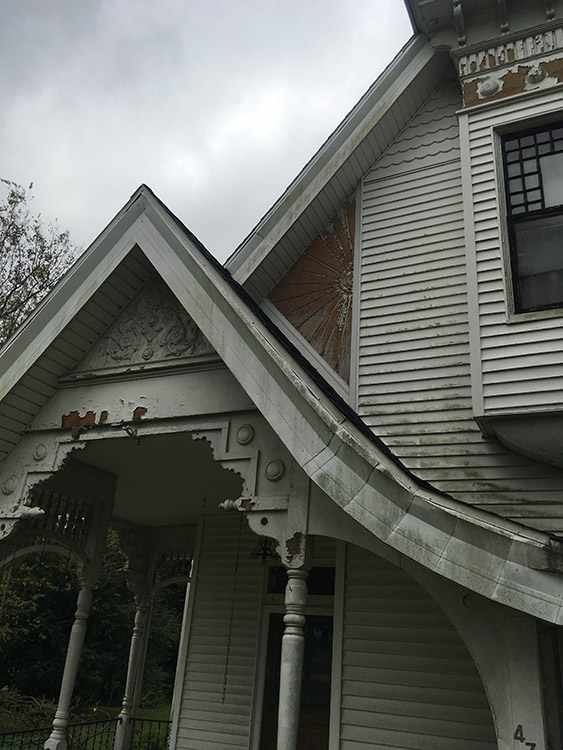 The photos show the first round of aluminum siding, but did show a glimps or two of a galvanized roof with a Victorian design. I hope to unearth an old photo when I visit early next week. Interesting home for sure. I just know that there is magic and a time traveling British uncle in that house. Maybe even some peculiar children have lived there!